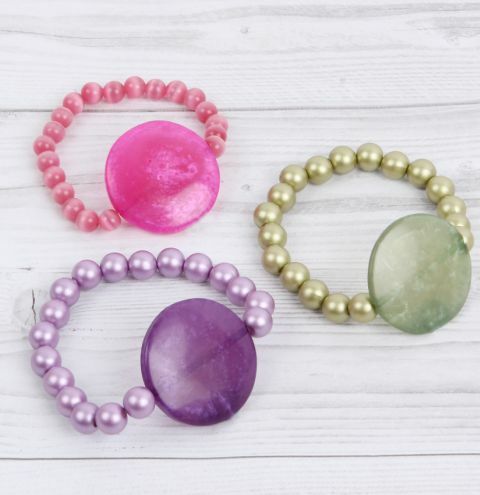 *SALE MAKE* Make a bold set of summer bracelets with beads from the clearance sale! String on approx. 9 small acrylic/cat's eye beads and then the large bead followed by more 9 more beads. Tie the elastic in a knot and trim away the ends.